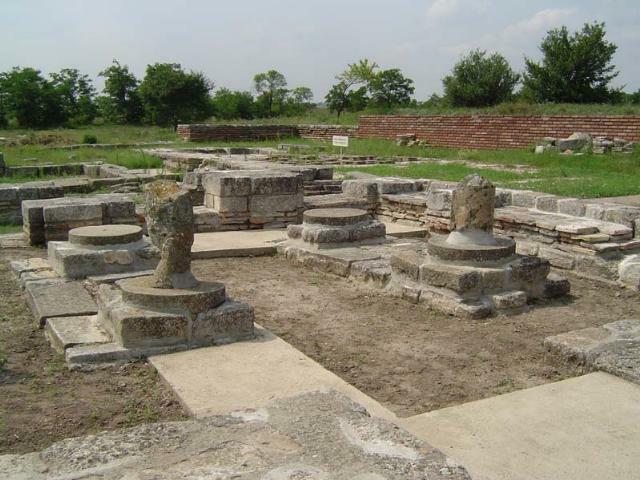 Pliska was the capital of the first Bulgarian kingdom, founded by Khan Asparouh. It is situated in the middle of the Pliska plain. The outer part of the ancient town, occupying an area of 23 sq.km was encircled by rampart. In its heart, protected by solid stone walls, the inner town was situated, with the Khan’s palaces, the residences of the ruling top class, public baths and religions buildings. 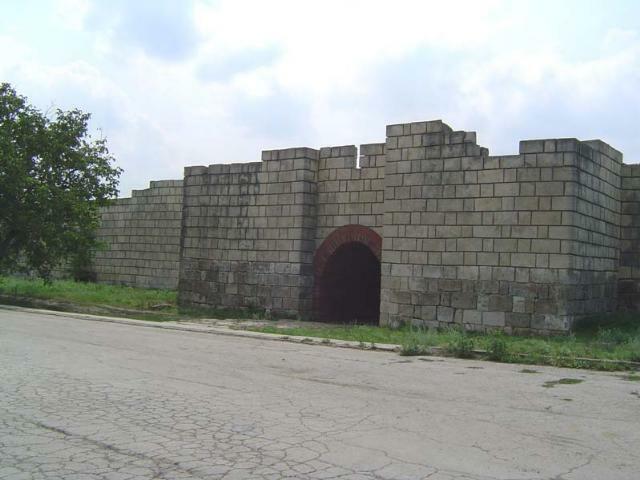 A third fortifications (citadel) was erected in, it protecting a small castle the residence of the kings. The Eastern Gate was restored as well as great part of the fortified wall and the towers, but the Great Palace has been preserved intact in its authentic air. 1,5 km Nort-Eastwards from the Inner town are the remainders of the Greta Basilica - the most imposing cult construction (100 m long, 30 m wide) from the period of the conversion of the Bulgarian people to Christianity. 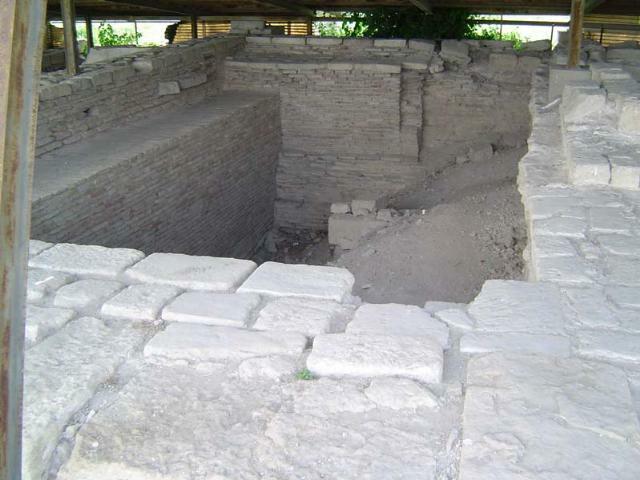 In proximity of basilica the ruins of a big monastery complex were discovered and preserved. Part of the finds in the preserve are exhibited in an archeological museum. 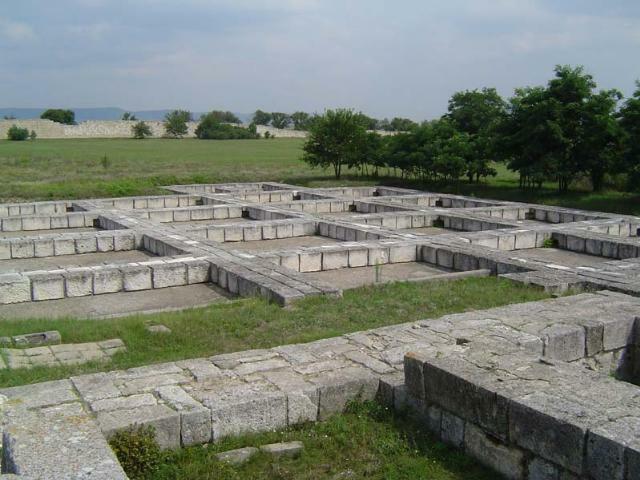 The national historical-archeological reserve Pliska is 28 km from the town of Shumen and 3 km far from the town of Pliska. The road to Pliska deviates from the highway Tcherno more near the town of Kaspichan. The reserve has a comfortable parking lot.